Many people would agree with that assessment. There are just too many rules for hyphens. Hyphens get nine full pages of coverage in the Chicago Manual of Style (CMOS). Following an introduction of nine general principles, CMOS then lists out over 100 specific points related to words or phrases that need or don’t hyphens. That sounds like enough to make you hyperventilate. Let’s try to simplify some of that. 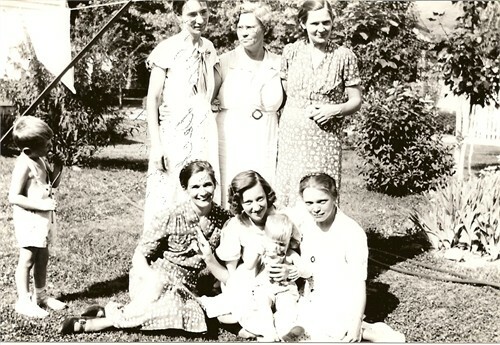 My sister just sent me a childhood picture of the six girls in my family. This picture makes me smile. Back row L to R: Joyce, Joanne, Shirley. I can only guess at our ages in the picture: eighteen-year-old Joyce, seventeen-year-old Joanne, fourteen-year-old Shirley, eleven-year-old Beverley, seven-year-old Judie, and little five-year-old me. Use hyphens on ages. Omission of hyphens on ages is a common error in the drafts of articles for our community newsletter. Newspapers generally use numerals for ages according to their own style sheet. Use the style of the publication for which you are writing. The five- to ten-year-olds had a field day at the park. 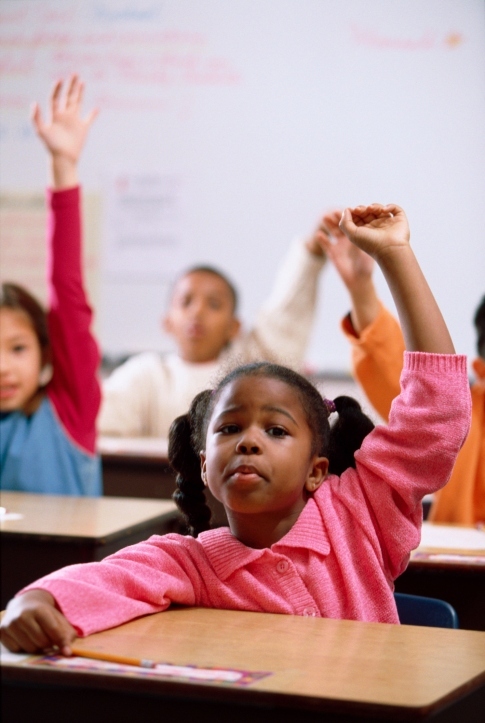 The school has classes for three-, four-, and five-year-old children. Why add hyphens when using numbers? To ensure clarity. Is it eleven children who are each one-year-old, or is one child who is eleven-years-old? The hyphens clarify. Note: if the age comes after the noun, do not use hyphens. The baby is four months old. Sarah is ten years old. The fourteen-year-old girl took a four-week class on babysitting at the YMCA. 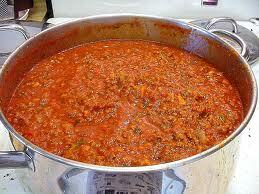 How about making spaghetti sauce? How long should you cook it? Use Hyphens On Compound Numbers from Twenty-one through Ninety-nine. Be sure to check the style guidelines for different genres to see how numbers whether numbers should be spelled out. Newspapers generally spell out numbers from one to nine, but even that is not consistent with all newspapers. Otherwise, write out numbers above 100. The boys ate three-quarters of the pizza before dinner. 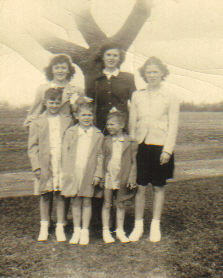 And just for fun, here is a picture of my mother and her sisters. Mom is top row, third person. I love the quote on hyphens. It made me laugh. I love that your challenge posts are on grammar. I recently started an editing business, and thought of doing this for the challenge or even my blog in general. (It has been grossly neglected for months.) But I didn’t really know how to go about it, so I tried something else for the challenge. I think it’s really cool that you are blogging on grammar. Can’t wait to read more of your stuff! Thanks, Rhonda. I, too, have neglected my blog for the last few months, but the AtoZ is getting me back into the habit. That, and now I am home at my own computer after being away for several months without regular Internet access. I wish I could blame no regular internet access for my neglect. No regular brain access is probably more accurate for me! I hope getting back in the habit goes well for you! Thanks, Rhonda. I can’t use that excuse next year when I snowbird to Florida. I now know how to get a hot spot on my smart phone! I’ve had this phone for two years, but it took my sister-in-law sitting me down and showing me about all this hot spot business. The AtoZ Challenge is helping me get back in the habit of regular posting, but that ends on April 30. Then I’m on my own. Oh well. We’ll see. Thanks for visiting my blog again. Great to see you in the A-Z Challenge! Nice to see you in the A to Z Challenge,too. I enjoy writing, and the A to Z keeps me going at a steady pace, at least for this month. Hi. I tried to leave a comment earlier today and the whole thing disappeared before I could post it. I was congratulating you on another good post. It seems strange that so much can be written about such a small piece of punctuation, but I can see where you’re coming from. My quirk for today, is the misuse of numbers. Apart from publication guidelines for certain magazines, there are some basic guidelines, but from what I’ve seen in recent times, there are few folk who pay heed, or even realise their existence. Hyphens are real troublemakers for some, but I like them. As for your quirk for the day, numbers, the guidelines vary according to publication, as you noted, but as you know, many free-for-all variations exist on Internet. Keep those quirks coming! HI Ellen, Nice to hear from you again. I have been off-duty for a while because of lack of regular Internet access away from home. I also noted that you have switched to MacBook Air, a move I am contemplating as well. My PC has been giving me fits for several months now. Yes, several factors have led to it. There’s a bit of a learning curve and adjustment to new software, but I rationalised the same would be true if I went to windows 8 (from XP)! And thanks for your visit. Nice to meet #AtoZers.